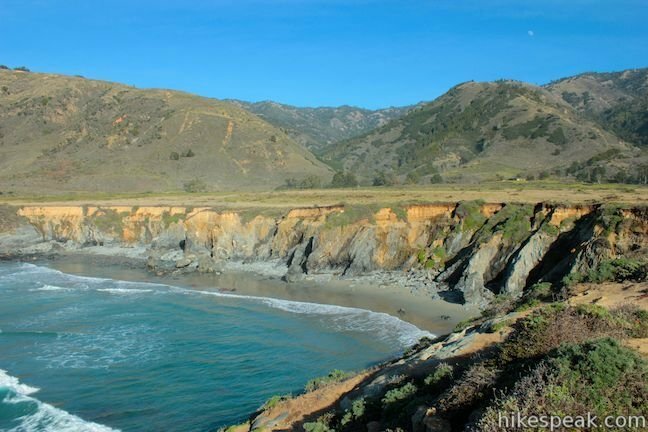 To experience Big Sur’s beautiful scenery first-hand, why not take a hike? Some of the most beautiful, most scenic hikes and trails in the world are just a short trip up the road from Ragged Point. These hikes range from level, short, and easy to steep, long, and treacherous. We describe some of our favorites here. Keep in mind that hikes may be closed due to adverse weather or unfavorable trail conditions. Look on the Internet or in Lumiere, the Ragged Point Hotel gift shop, for more suggestions. 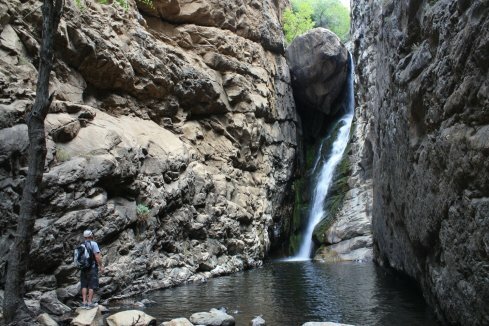 One of the most popular short hikes for locals, Salmon Creek Falls is just a quarter-mile round-trip hike from Highway 1. This amazing trail, which starts at a Highway 1 pullout just 3.6 miles north of Ragged Point (or 45 miles south of the Pfeiffer Big Sur State Park entrance). From this pullout, follow the Salmon Creek Trail signs directly to a beautiful 120-foot waterfall. For the more adventurous, the entire 10.9-mile trail provides a total elevation gain of 6,063 feet, and a great introduction to the Silver Peak Wilderness. The breathtaking Pacific Valley Bluff Trail is a flat, 1.6-mile loop that is accessible to all skill levels and available to dogs on leash. 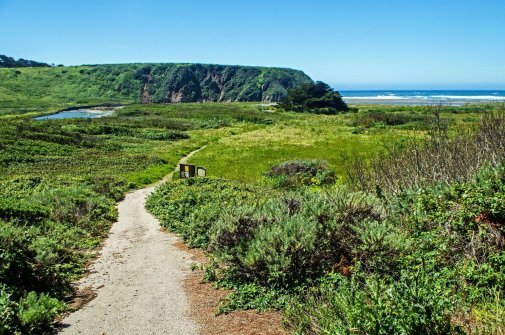 Just a few miles north of Gorda, the Pacific Valley Bluff Trail provides panoramic ocean, beach, and bluff views, unique plant life, and lots of in-season wildflowers. If you only have time for just one quick hike during your stay, this trail is a good choice. The Pacific Valley Bluff trailhead is 16 miles north of Ragged Point (4.6 miles north of Gorda). If you’re traveling south on Highway 1, it is 8.4 miles south of Lucia or 32.5 miles south of Pfeiffer Big Sur State Park. The trail begins at the Pacific Valley Ranger Station, a set of unmarked buildings across from Sand Dollar Beach. While you’re visiting, consider trying the Ragged Point Cliffside trail, which starts behind the Portal to Big Sur sculpture that marks the top of our Million Dollar View. This windy, steep trail can be treacherous and slippery, and is only recommended to the adventurous hiker. If you dare to descend the 300-foot cliff, you will be richly rewarded with amazing ocean and mountain views, including the Black Swift Falls and a black sand beach at the base. While this out-and-back hike is only 0.8 miles in length, you should allow yourself an hour to complete it, thanks to its rugged, cliffside location. Just 1½ miles south of Ragged Point, San Carpoforo Creek meets the Pacific Ocean. Here you’ll find a flat and easy one-mile trail that features views of local sea birds and in-season wildflowers. The San Carpoforo Creek Trail also offers swimming, fishing, and wind sailing opportunities, and a “secret” beach. While you’re visiting the elephant seals, why not extend your visit by hiking the Boucher Trail? 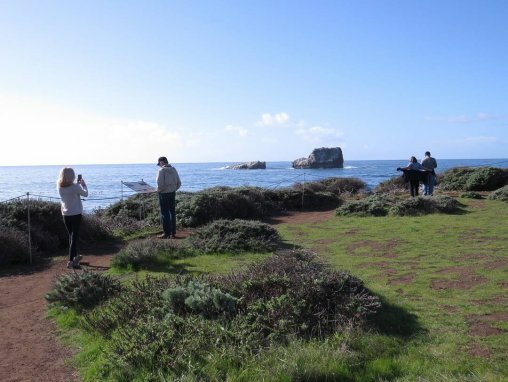 This short trail provides a way to escape the elephant seal crowds and take in the historic Piedras Blancas Lighthouse, wildflowers, and wildlife. This trail follows the coastline from the northernmost elephant seals parking lot. 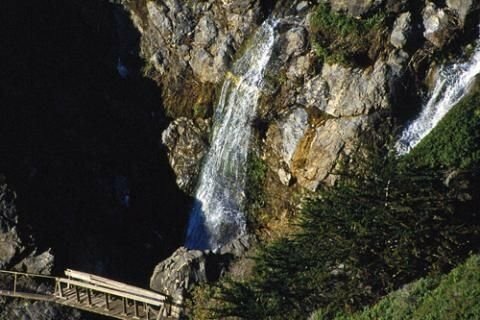 From the McWay Waterfall Trail, you can view one of the most iconic images of the Big Sur, an 80-foot fall that drops directly onto the beach. 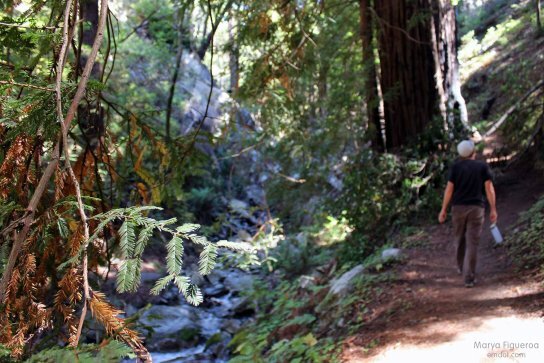 This moderately easy trail also offers beautiful canyon, redwood, and ocean views. The main trail is only about ½ mile in length, and you can extend it by following the signs to the Pelton Wheel trail. 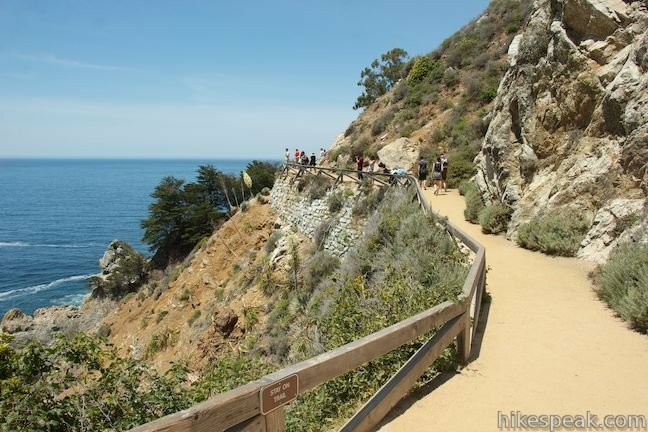 To begin the hike, you can either follow the signs from the Julia Pfeiffer Burns State Park parking lot (a small fee is required) or park along the west side of the highway. The park entrance is about 48 miles north of Ragged Point or 37 miles south of Carmel. This kid-friendly trail has three branches, each about ½ mile long. Each branch provides a fun, flat walk through redwoods and rivers. 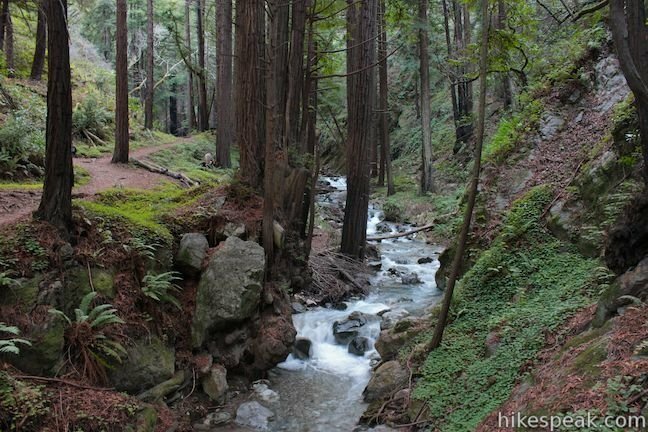 The trail is located in Limekiln State Park and offers views of a waterfall and the historic lime kilns. Your children will enjoy some rock-hopping crossing the creek to finish these fairly level, out-and-back hikes. Limekiln State Park is about 22 miles north of Ragged Point (or two miles past the Nacimiento-Fergusson Road turnoff) on the inland side of Highway 1. If you’re coming from the North, the park is 26 miles south of Pfeiffer Big Sur State Park or two miles past the tiny community of Lucia. For a more challenging hike, consider the Tan Bark Trail, a steep, 5.6-mile loop along Partington Creek. This strenuous route takes you through a variety of Big Sur environments: tanbark oaks, twisty redwoods, ferns, rock outcroppings, large boulders, and canyons. After you pass the crumbling Tin House (built in 1944 by Lathrop Brown), you head back a steep fire road to enjoy stunning views of the Pacific Ocean and Highway 1. To get to the Tan Bark Trail, drive about 40 miles north from Ragged Point, about two miles north of the Julia Pfeiffer Burns pullout. The trailhead is a pullout on the inland side of Highway 1, across from the Partington Cove gate. 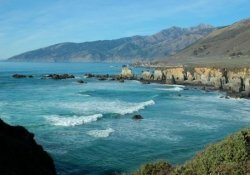 If you’re driving from the North, the pullout is nine miles south of the Pfeiffer Big Sur State Park entrance or six miles south of Nepenthe.